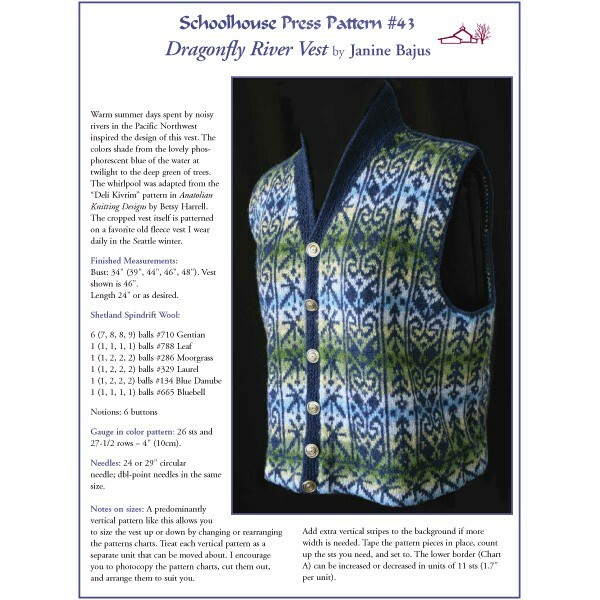 Warm summer days spent by the rushing rivers of the Pacific Northwest inspired the design of this vest. 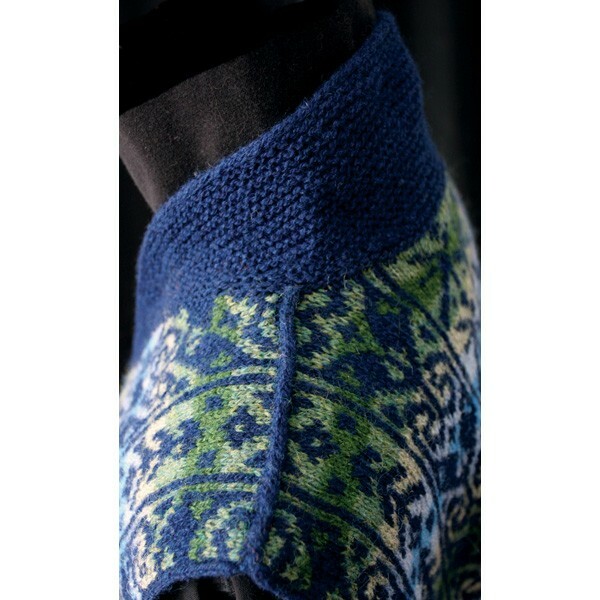 Glorious Shetland Spindrift colors shade from the lovely phosphorescent blue of the water at twilight to the deep green of the towering trees. 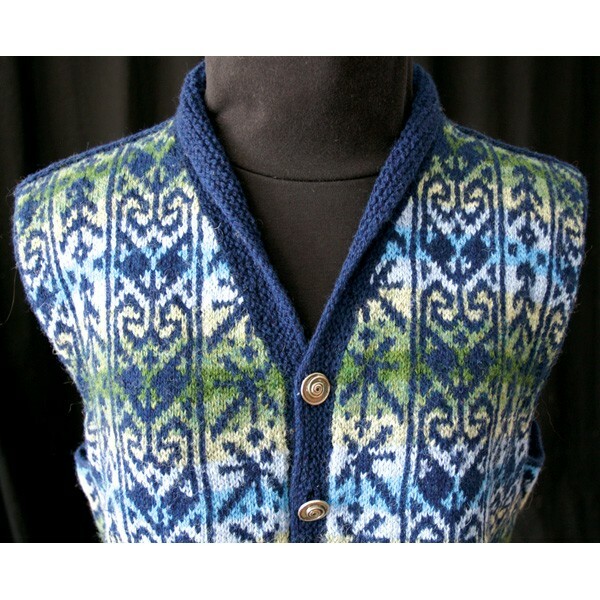 Cropped vest, in multiple sizes, featuring V-Neck shaping with a Garter stitch Shawl Collar and hem.